Enjoy inHEALTH’s LAT Compendium Service on us until April 30, 2019! Our new changes are now in place including an easy login, expanded searches and advanced results. Sign up for a 2 week trial to inHEALTH’s LAT Compendium Service to see how it can benefit you! It is with great pleasure that we bring you inHEALTH’s interactive LAT Compendium Service. A collection of tools that are designed to help you assess risk and achieve the best outcome. 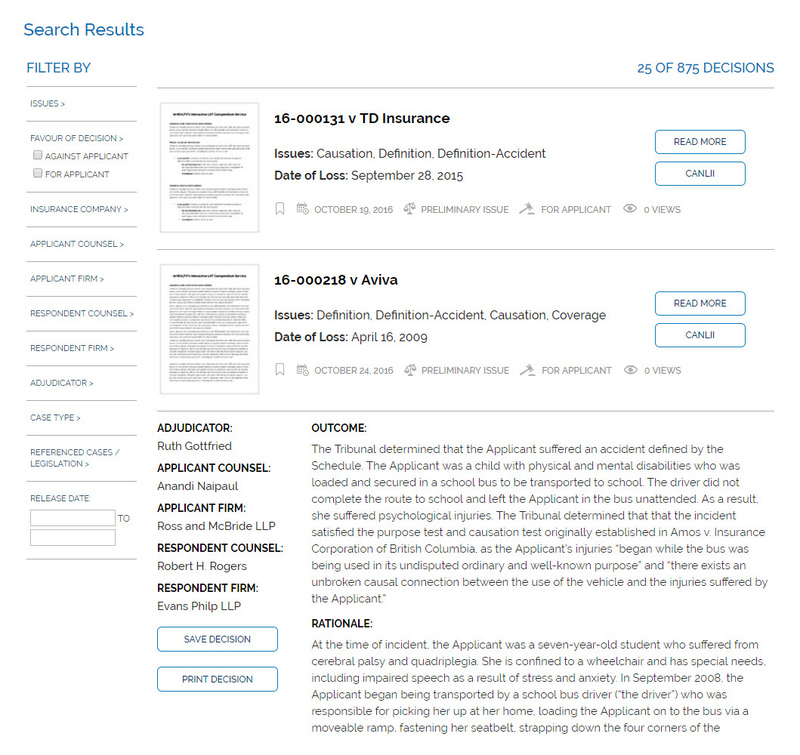 inHEALTH’s LAT Compendium Service contains a database that provides you with, a collection of relevant and searchable data points that inform you on the outcome of disputed accident benefit claims. inHEALTH’s interactive LAT Compendium Service guides you through LAT decisions with ease and precision not provided elsewhere. 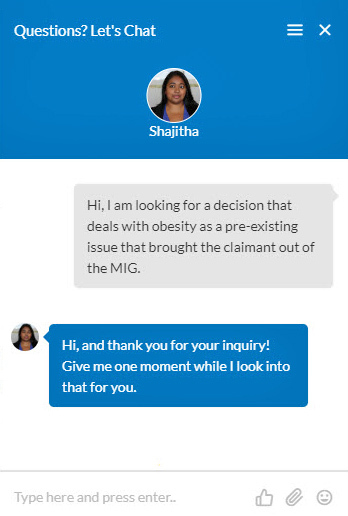 We bring a combined 70+ years of AB/BI experience to our industry-leading case summaries and organized search filters that put unbiased, factually-based information at your fingertips. The LAT’s Automobile Accident Benefit Service was a wholesale change for stakeholders dealing in accident benefit matters. With the expedited timelines, risk of outcome and costs uncertainty, access to outcome information is paramount to practicing professionals. 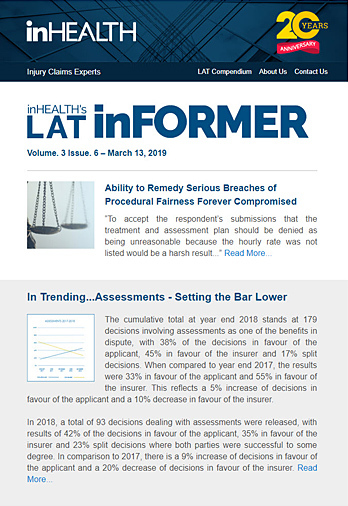 The LAT Compendium Service includes the LAT inFORMER newsletter, notifications and Live Chat interaction with our inHEALTH Experts to get you there faster. My team and I are committed to providing you services that help drive better outcomes. We are proud to be able to bring this exciting new resource to the industry! Experience inHEALTH's LAT Compendium Service - Sign up for a 2-week free trial.